With Mother’s Day right around the corner, this Sunday to be precise, we start thinking of not only those strong women who carried us internally but also those women who helped us through life. When I Carried You In My Belly book is about a mom telling her daughter about the time right before she was born. When I carried you in my belly, we fed kittens out of saucers, baked bread for our neighbors, and hung bird feeders on the trees. And that is why you have the biggest heart in the world. When I was pregnant with my oldest I would read him stories. When I played Metallica, he would kick up a storm! Not sure why but he did. With my second I also read him stories and played music, he loves music and reading to this day! 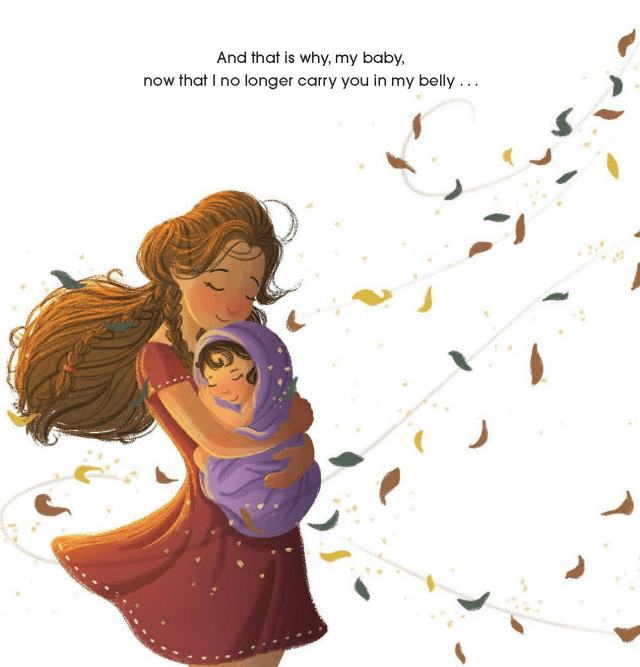 With a similar tone to On the Night You Were Born and the timeless quality of Love You Forever, WHEN I CARRIED YOU IN MY BELLY is a beautiful book for mothers to share with their young children. 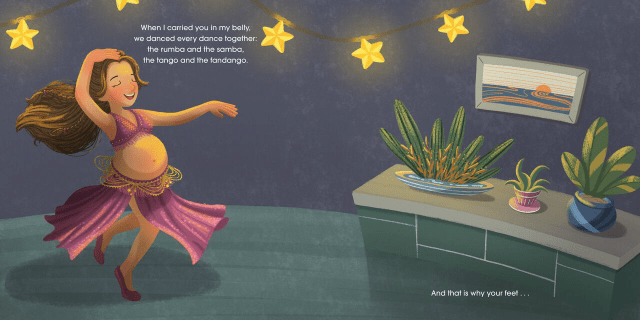 In bestselling author Thrity Umrigar’s first children’s book, her warm, playful text paired with whimsical illustrations capture the magic and possibility of every child’s origin story. Joyful, thoughtful, and moving, Umrigar’s WHEN I CARRIED YOU IN MY BELLY is primed to be a new timeless classic. Thrity Umrigar is the bestselling author of a memoir and six novels, including The Space between Us, If Today Be Sweet, and The Story Hour. A winner of the Niemen fellowship to Harvard University, she has written for the Washington Post, the Huffington Post, and the Boston Globe. She’s currently the Armington Professor of English at Case Western Reserve University in Cleveland. Ziyue Chen grew up in sunny Singapore and graduated from Ringling College of Art and Design with a BFA in illustration. Her work has been recognized in the 3×3 Picture Book Show (2014), SCBWI’s SI Scholarship (2013), the Society of Illustrators’ Student Scholarship Show (2013), and Creative Quarterly (2012). Please feel free to share your own fun/funny/sweet #WhenICarried pregnancy stories as well! « Weight Loss? No Sweat!